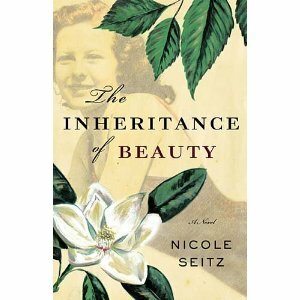 Nicole Seitz’s book, The Inheritance of Beauty, takes readers on a journey back through time to a small southern town where everything seemingly went wrong one day many, many years ago. The story is told primarily by three people — George, Maggie, and Annie. George, at ninetysomething years young, is living in Harmony House with his wife, Maggie, when they receive two packages from faraway New York City. One is a huge, mysterious portrait of Maggie in her teen years, and the second is a collection of letters from a friend George hasn’t spoken to since that terrible day so many decades ago. While all of this is happening, a new, strangely familiar resident moves into Harmony House, and everyone slowly begins to realize that there are no coincidences and that everything happens for a reason. This is, without a doubt, the best book I’ve read this year. Seitz tackles the challenge of writing from a distorted narrator’s point of view (Maggie, who is suffering with dementia, has her own chapters which add to the story but remain very true to someone who struggles with memory) back to George then onto Annie, their caregiver at Harmony House. The story of their past is very believable and entertaining (apart from a rather cliched villain, complete with handlebar mustache that you can almost imagine him twirling menacingly), and it unfolds at a wonderful pace. Just when you think you have the story figured out, there’s another surprise in the plot. The story truly wasn’t over until the very last page. While some of Annie’s dialogue might be stereotyped and could be viewed as racially insensitive, it still didn’t take away from the story. I finished the book really caring about these characters, most especially funny and loving George, which is always the sign of a wonderful, wonderful book. I highly recommend it!